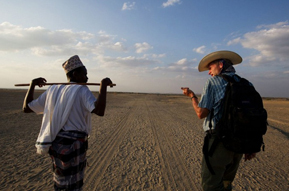 Paul Salopek is on an amazing walk: from east Africa to the southern tip of South America. It’s only going to take nine years. He was interviewed this week on The Current about his experiences. The interview is here; one of his essays about walking, “A Stroll Around the World,” is here. Both the interview and the essay are worth a look. I ran across this discussion of Northern Ireland 17 years after the Good Friday Agreement, and I thought it would be worth sharing, given my previous post on walking the Ulster Way. It seems that a walker today would find the same divisions Ferguson found 15 years ago. The link is here–one of the many audio files that The New Yorker posts about its stories. Apparently that magazine has more subscribers now than it’s ever had, despite the difficulties print media are experiencing. Perhaps all of this extra material is the reason why. Andrew Forsthoefel was 23 years old. He’d just graduated from college and wasn’t sure what to do with his life. So he decided to walk across the United States, from his home near Philadelphia to San Francisco, through the southern states and the deserts of Nevada. He had a simple quest: to ask the people he met what advice they would have for their own 23-year-old selves. Andrew used an audio recorder to make a documentary about his experiences. I first heard excerpts from Andrews’s story on National Public Radio’s This American Life. The entire documentary is available here, at transom.org.